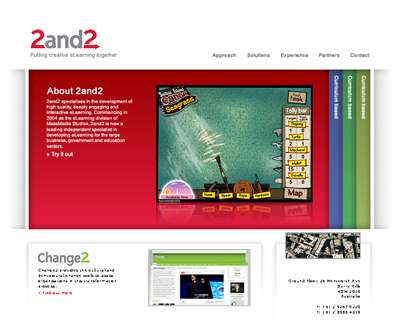 2and2 is an Australian company specialising in elearning solutions. 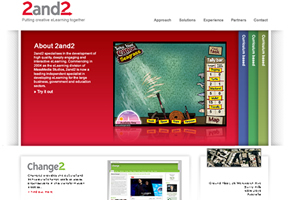 Their site was required to be fun, lively and interactive. The home page includes a large banner area with Flash, that works as an accordion for content. This lets the client add much more content to the home page and use interactive features within Flash.